Next month will mark the third anniversary of the original release of Ashes of the Singularity! It's amazing how much things have changed since then. I was looking at screenshots and gameplay video and the game has come so far from its first release. And here is what today's opt-in update looks like. The first thing tto notice is how much bigger the buildings and units are. We still have more work to do as the sizes are going to create some pathing and formation bugs which you will see for yourself if you try out the opt-in. But the increased size makes the battles a lot more interesting and helps communicate the interactions between units much better. Lots to go over this month so I will do my best to keep it short. We are about to announce a new game in the Ashes of the Singularity universe. It's in the tower defense genre. This originally was going to be released as a DLC for Ashes but the gameplay changes required made it impossible to keep it part of the same EXE so it's being released as a stand-alone game. Lifetime Founders of Ashes will get this added automatically. We'll have more details about this later this week. 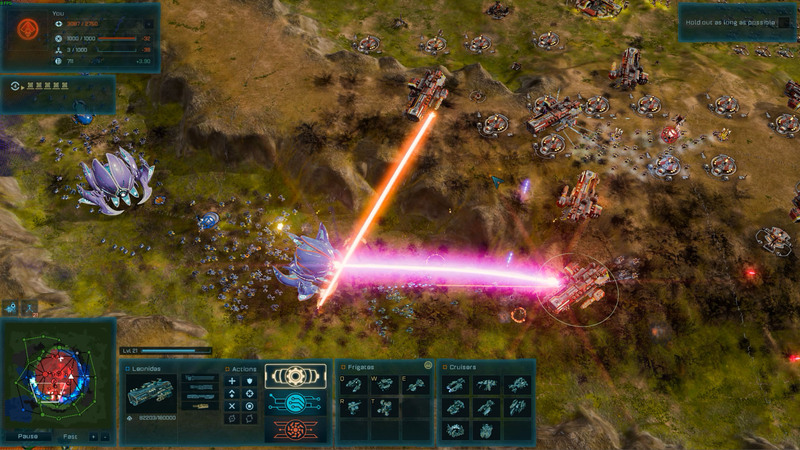 The good news for Ashes players is that a lot of new tech was experimented with and implemented with this game that will be coming back to Ashes of the Singularity this Spring. 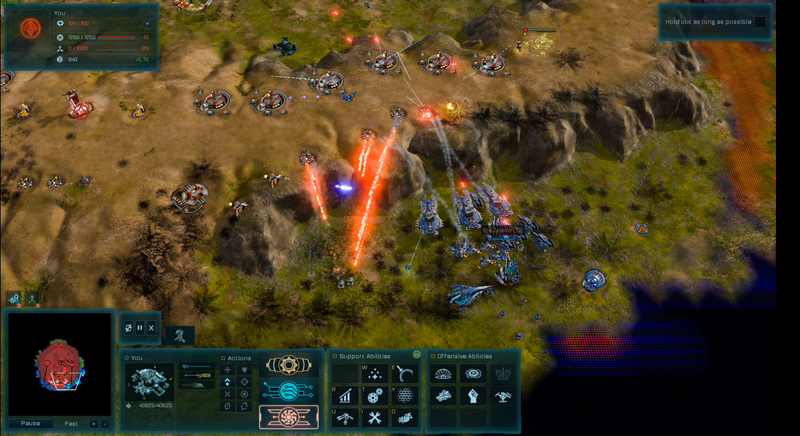 Many of the engineers at Stardock have been working on porting the engine to Linux. I've mentioned this elsewhere but we've got it running. The challenge now is that we need to do more optimization with Vulkan before we can make it publicly available. 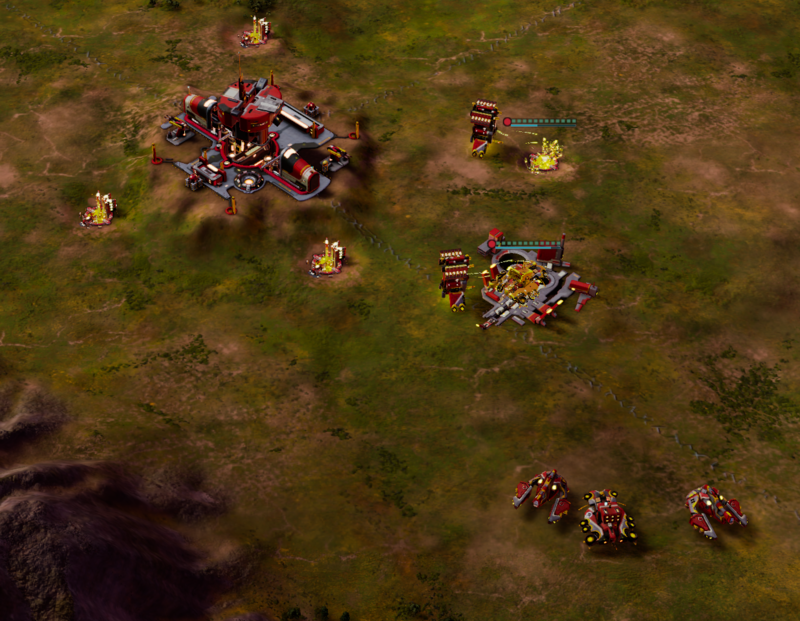 While the Vulkan work goes forward, we are in the process of creating a new DLC for Ashes that includes new units and buildings that should result in some new strategies and greater strategic depth. We'll have more on that also this Spring. The new core engine features and bug fixes that we've made to Star Control: Origins and the upcoming tower defense game will be collectively referred to as Ashes v3.0. We have a lengthy list of player requests (I'm working on a Hades bomber targeting update myself this week) plus a lot of other changes that will result in what will almost feel like a new game in some respects. 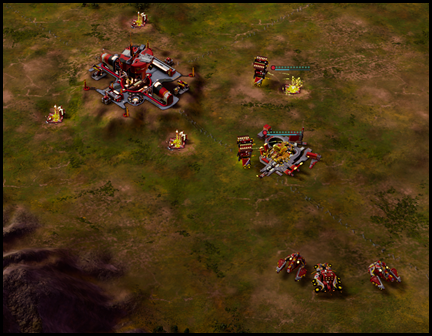 King of the Hill is a scenario for Ashes Escalation where the player has to hold out as long as they can against endless waves of enemies. It plays out like a Tower Defense game; establish a strong defense and continue to place more turrets and upgrade them to bolster your position. Tower Defense games can be quite simple with limited options, but King of the Hill is complex because it's inside of Ashes with all the mechanics and content that the game contains. 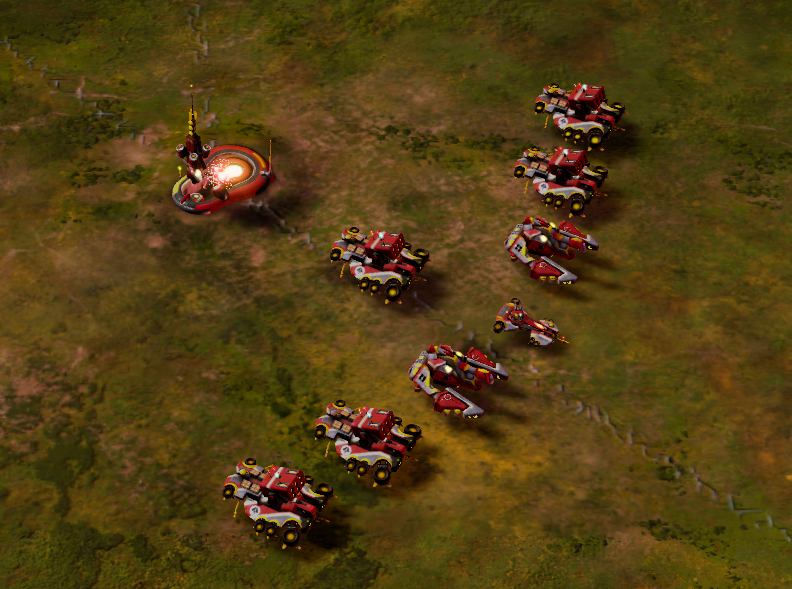 RTS games, and their cousin Tower Defense, are all about weighing up opportunity costs and making meaningful decisions. The core pillar of Tower Defense design is significant variety of creeps and towers, creating a counter system between them that makes composition and placement of towers tactical. Escalation has a huge variety of base defenses compared to most RTS games, so it's an easy conversion to make to tower defense. King of the Hill doesn't go as far as actual Tower Defense games with utility such as slow towers or damage over time, but there are towers strong and weak against certain unit types. Barragers are multipurpose, Drone Bays excel against frigates, Oblivion Turrets destroy dreadnoughts and Artillery Posts provide indirect fire from the back lines. 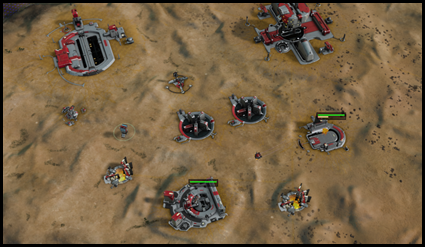 Air units also spawn in and fly straight for the player's Nexus from many directions, so spreading out air defense is reequired. The enemies in King of the Hill target and attempt to destroy the player's defenses, so a whole range of mechanics normally absent in Tower Defense games are opened up. 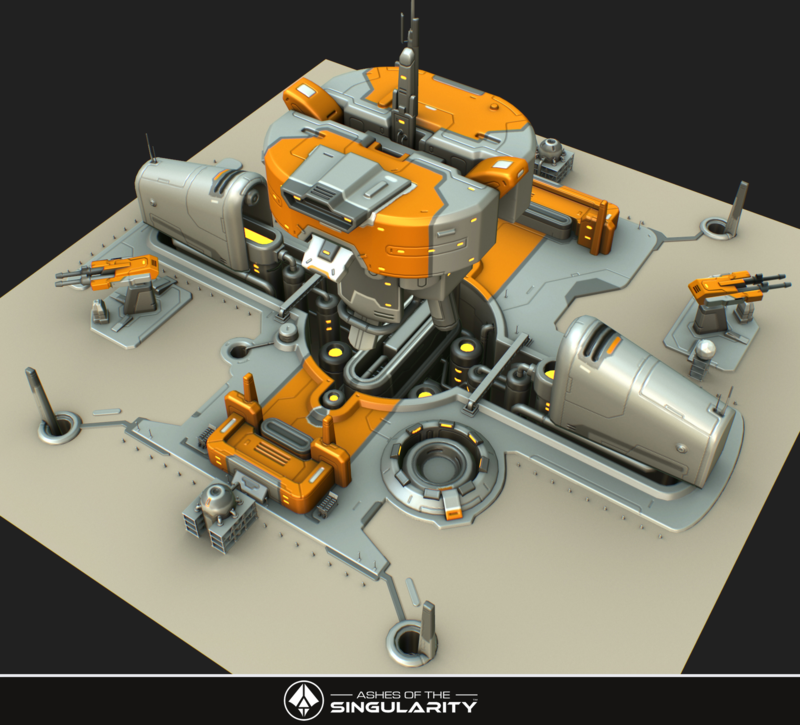 Players need to think about building Repair Bays or placing Engineers to heal turrets, and investing in Building Health Quantum Upgrades as well as Weapon Damage. 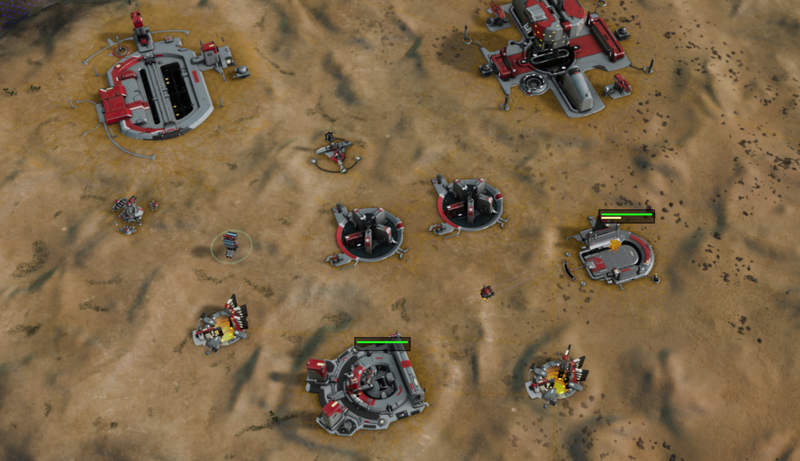 Engineers can be quickly picked off so constructing defenses in combat can fail, players may want to invest in Medics to assist the Engineers. Turrets don't just fall from the Sky, they need to be built by Engineers and stacking many together will rapidly decrease the build time. It's a good idea to have a hit squad of Engineers ready to rapidly replace forward turrets once there is a gap in the enemy waves. But the challenge isn't just about defenses, King of the Hill gives players the full Escalation tech tree. 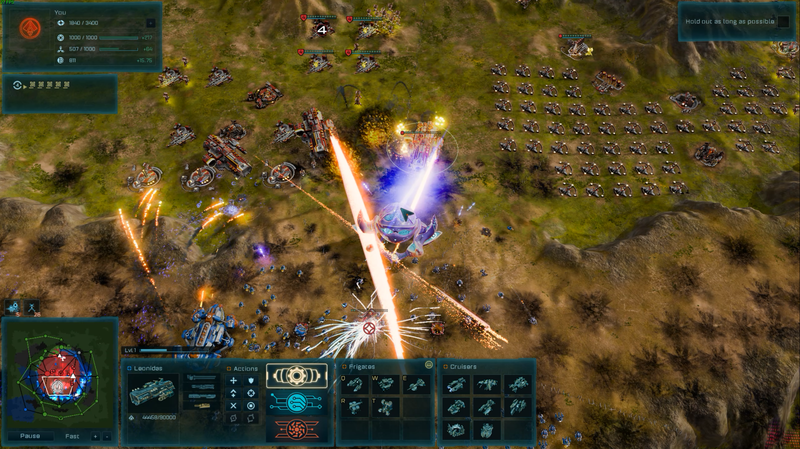 For prolonged survival when enemy dreadnoughts and juggernauts arrive, the player has to weigh up between the three competing interests of short-term defense via turrets, long-term defense via juggernauts and investment into economy. Each of those three points are not simple and branch off into many sub decisions. Large costs and upgrade time of Oblivion Turrets makes their investment require careful timing else the position can get over-run while the Sentinel is out of action. Players may decide to delay their first Juggernaut for investing in multiple Cronus dreadnoughts to provide fire support. Even investing in Economy requires players toss up between Amplifiers, Optimize Orbital, Refineries and Quantum Relays. The investment of Quanta is then a whole other challenge as Weapon & Health Quantum Upgrades, Optimize and offensive abilities all come from the same Quanta pool. King of the Hill especially works as an endless survival mode because of the scalability of Escalation's mechanics. Income levels is near infinite due to Refineries, Harvesters and Quantum Relays so there is no cap where economic growth stops. Quantum Upgrades can also be applied infinitely, though with exponentially increasing costs. Juggernauts automatically receive unlimited combat bonuses each time they level up. 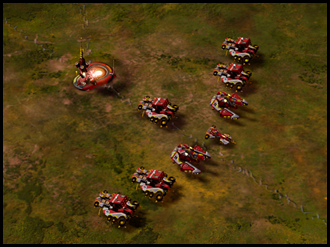 Lastly, the the strategic zoom and unit icons helps players monitor their base and incoming unit types at a glance. King of the Hill starts off slow and gentle, but it ends up at becoming insane. The last point I love about King of the Hill is the cosmetic element of it due to the scale. Countless rockets and projectiles fly out from the ledge as hundreds of drones circle the creeps and artillery shells rain down from above. Flak projectiles fill the sky as aircraft explode until VVVVVRRRMMMM, a Leonidas beam fills the screen and annihilates an enemy Juggernaut. You then zoom out and see your entire base saturated with Refineries and Quantum Relays providing a tremendous income. The player constantly receives reports of "Enemy Juggernaut detected." "Enemy Juggernaut destroyed." Witnessing the carnage in King of the Hill is mesmerizing, and it showcases the large-scale gameplay that our engine supports but takes a long time to experience in a regular game of Escalation. The main downside of King of the Hill is that it gets quite repetitive due to it only having a single map. Tower Defense games benefit from having many different missions to keep it interesting and make you think on your feet each time you start a new mission. King of the Hill, of course, isn't a Tower Defense game, it's just a scenario inside of a full RTS game. Though, there are other defense style scenarios and campaign missions inside of Escalation. These are timed missions which removes the replay value and means they don't progress past just building defenses. I think King of the Hill would make an incredible co-op experience, and it would be a great introductory game mode into Escalation. I love Tower Defense games, and King of the Hill provides a deeply strategic and challenging experience due to the inclusion of a full RTS tech tree and mechanics. The variety of towers and creep types which attack the player means players have to balance their defensive compositions carefully, while also weighing up between investment into economy and juggernauts. Quanta provides a great additional element of spending it on permanent Quantum Upgrades or utilizing Orbital Abilities for short-term support. Lastly, the scalability of mechanics in Escalation makes it excel as an endless survival mode mode. King of the Hill is fantastic, and I'd love to see what we could do with that style of gameplay.